The OutKast rapper says to meet him in Jackson, GA, at 4 p.m./ET to protest the execution, which is scheduled for this evening. Davis is scheduled to be put to death by lethal injection at 7 P.M. EST, after Georgia’s board of pardons rejected a last-minute clemency request yesterday. The 42-year-old Davis, convicted for the 1989 murder of off-duty police officer Mark MacPhall, has been set for execution three times before, only to receive reprieves at the 11th hour. His case has attracted a wide range of supporters, from former President Jimmy Carter to Pope Benedict XVI. Advocates for clemency point to shifting witness testimony, suggestions of police misconduct, and reports from other witnesses that someone else admitted to the killing. Prosecutors and MacPhail’s family members have long maintained support for Davis’ guilty verdict. 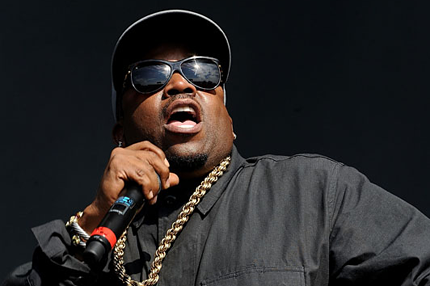 Big Boi, an Atlanta resident, has been tweeting up a frenzy about the planned execution. “We don’t need a trending topic, we need boots on the ground,” he said this morning. He also posted OutKast’s Aquemini jam “Liberation” on his website, along with protest-themed songs by performers from Bob Marley to Linkin Park. Some other artists are backing Big Boi’s efforts. Diddy asked his Twitter followers this morning to call U.S. Attorney General Eric Holder. New York indie-poppers the Drums said it isn’t too late to e-mail the Georgia parole board. Others voicing their support include the Roots’ ?uestlove and Wu-Tang Clan’s Ghostface Killah. As CBS News and the Associated Press report, Davis’ supporters are now resorting to extraordinary measures to stop the execution. That includes asking for a lie-detector test, encouraging prison workers to skip work, and even contemplating a plea to the White House for a potential pardon. The AP reports that defense attorneys have drafted another appeal to a local judge. Davis was convicting of shooting MacPhail to death outside a Burger King restaurant while the off-duty police officer was trying to save a homeless man who was being beaten. The only physical evidence linking Davis to the murder consisted of bullet casings that were connected to an earlier Davis conviction. Defense lawyers say seven of nine key witnesses from Davis’ trial have since recanted all or part of their testimony.